When I was a little girl, I was fascinated by cameras – especially the Polaroid. Perhaps that’s the reason I interviewed a photographer for an elementary school project. I think I was ten years old. We had to “interview” a professional and write a report. I decided to call the local photographer and ask if I could interview him. He was so gracious, and tolerated all of my questions. The funny thing is, more than forty years later, I don’t remember the questions but I remember his kindness and my fascination with his antique camera collection. I didn’t grow up to be a professional photographer, though I do love taking pictures. I didn’t grow to be an interviewer, though I do love asking questions. But I did grow up to be a writer and it was fun to create Clara, a photographer, and have her star as the heroine in A Fair To Remember. That book was set in 1901, Buffalo, New York. Just a little too soon to mention a young female photographer who moved to Buffalo in that same year and later went on to be a photojournalist when she was hired by a newspaper, The Buffalo Courier, in 1902. Being a fan of learning about women in history, I’ve decided to feature that photojournalist, Jessie Tarbox Beals, in the second book in my World’s Fair series – The Fair of Her Heart. 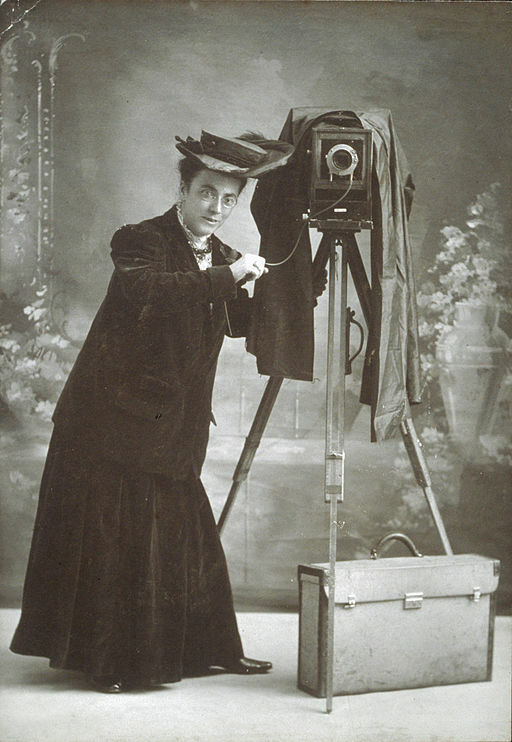 That book is set in Saint Louis, in 1904, the fair where Jessie made a name for herself by climbing ladders and lugging pounds of equipment around so she could take as many photographs as possible. 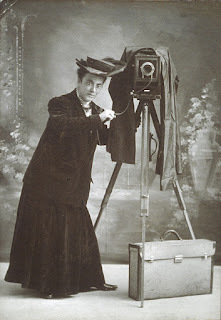 Her diligence earned her the title of official Fair Photographer for several newspapers both in New York, and Saint Louis. After reading about Jessie I decided she was the perfect addition to The Fair of Her Heart, and she has a special role in the book. 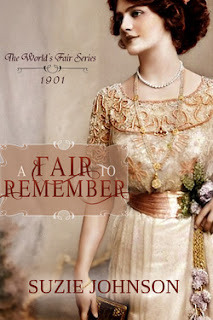 I really enjoyed A Fair to Remember, and I'm thrilled to hear there is going to be more novels set at the World's Fair! Thank you so much, Iola! I love the World's Fair backdrop.